Pokémon Go took the world by storm this summer, becoming the most downloaded smartphone game in recent memory, and proving that the Pokémon brand is still as strong as when the first Pokémon game launched back in the 90’s. Actually, the game has been such an unqualified success that Nintendo’s shares skyrocketed last July (the Japanese company did not actually make the game, though, but is part owner of The Pokémon Company), while developer Niantic is reportedly pulling in millions every day thanks to the game’s microtransactions. Things did not look so rosy last September, though, when it was revealed that the game’s paying player base had dropped by a whopping 79 % according to intelligence.slice.com, with the game losing its no.1 position in the app store’s chart of top grossing games. 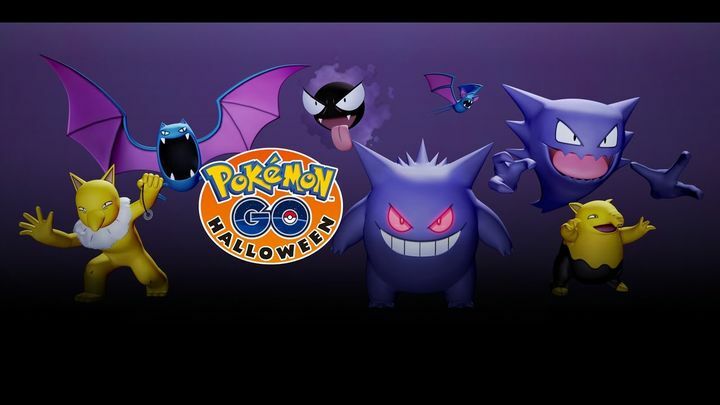 But things changed when Niantic ran a Halloween special event in October, which amongst other things offered players more in-game rewards like candy for walking less distance, making it easier to progress in the game. This led to renewed interest in Pokémon Go, catapulting Niantic’s game back to the top of the charts according to GameSpot. So while Pokémon Go’s dramatic fall after summer can perhaps be attributed to a lack of planning on Niantic’s part as the game was an unexpected hit that even caught Nintendo by surprise, it seems Niantic could have now found the magic formula to ensure Pokémon Go becomes a long term success instead of a one trick pony. This explains why there will be another Pokémon Go special event for Thanksgiving in the US this November, in which Niantic will offer players double the amount of experience points and stardust for all in-game activities, and which runs until November 30. This will certainly please the game’s millions of fans this holiday season, and together with the game’s recent updates will likely help keep interest alive in this game for a long time to come. Next: Which video game console should you get this Black Friday weekend?